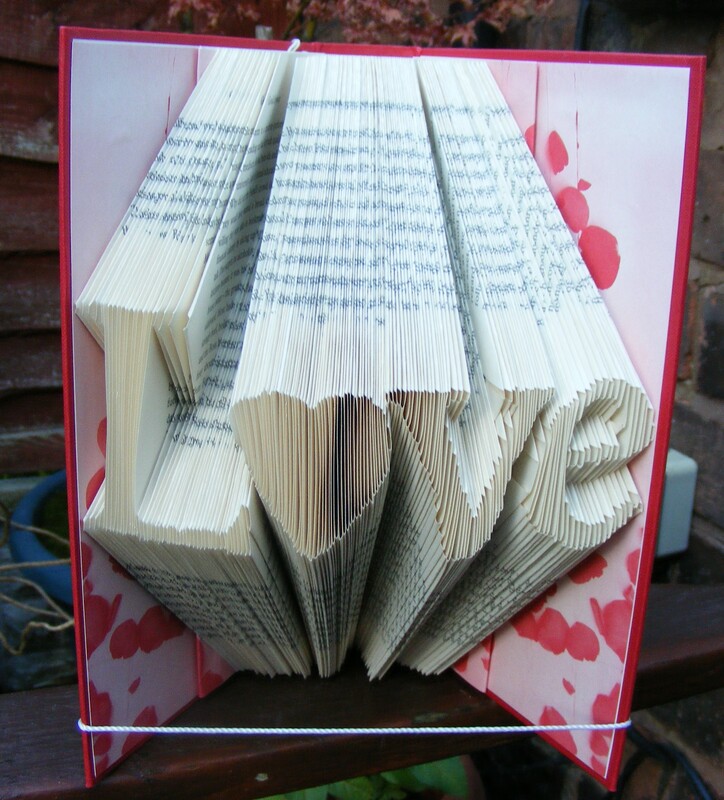 Folded book art. 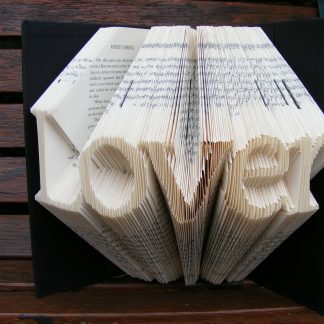 Love folded into pages. – Tilly Lane Treasures. 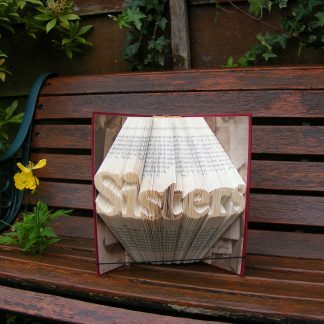 Home / Folded book art. Words folded into pages of books. / Folded book art. 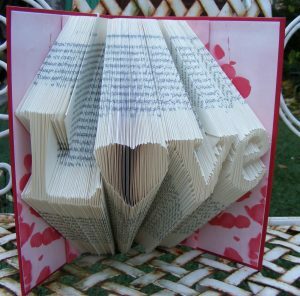 Love folded into pages. SKU: BK 152 Category: Folded book art. Words folded into pages of books. 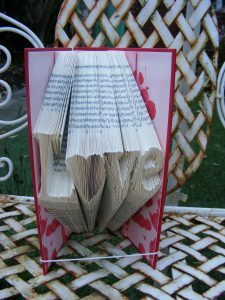 This book has the word Love folded into the pages, and the letter o is a heart. Great wedding anniversary gift as the first anniversary is paper! This is a folded book art, book sculpture, origami folding book! The book is almost 9 1/4″ tall, and made from a brand new red coloured hardback book, this book has a new life as a piece of art. You can display the book open, close it too with the simple white cord, or put it in with your other books to close it slightly. The dark bits that show on the image, in different places,are just the camera shooting right to the back of the book and making it look darker, this happens when you look at it straight on. Should you have a ‘reading emergency’ you can unfold the pages and read the book, as the pages have not been cut! Fake taxidermy. 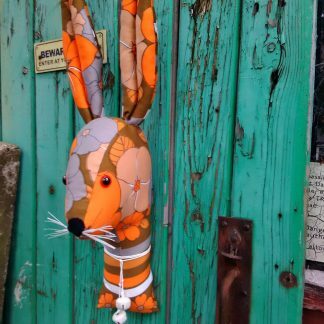 Rabbit, Hare fabric head. Retro vintage fabric. 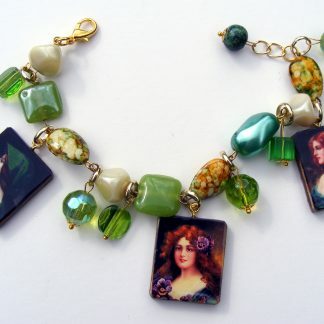 Handmade picture charm bracelet. Vintage beauties.